I took this shot yesterday, on my bike ride home from work. 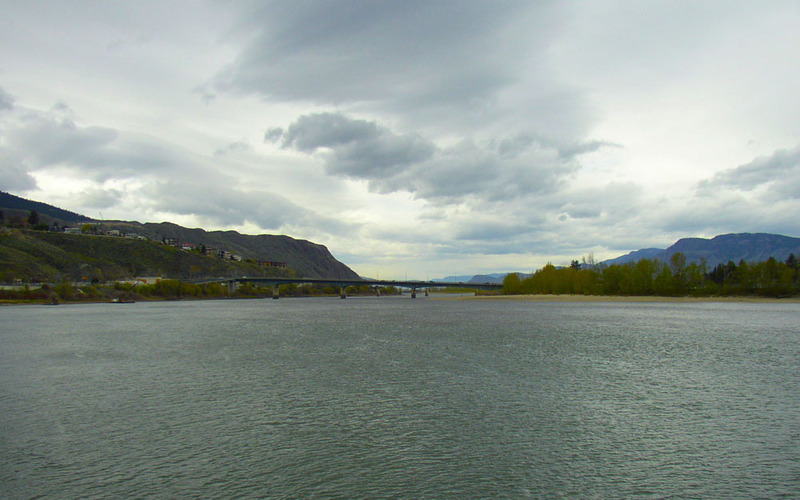 This is the Thompson River, looking west, viewed from the north shore of Kamloops, BC. I *heart* New York. But like Bruce Springsteen, I’m happiest living in New Jersey. It was cold and windy, and I didn’t stay long on the south shore. Across the bridge (on the left) is the Treehouse, and most of my family of friends, and my current job site. I wanted to get back to “my side” of the river. Flatlands. My neighbourhood. The North Shore. 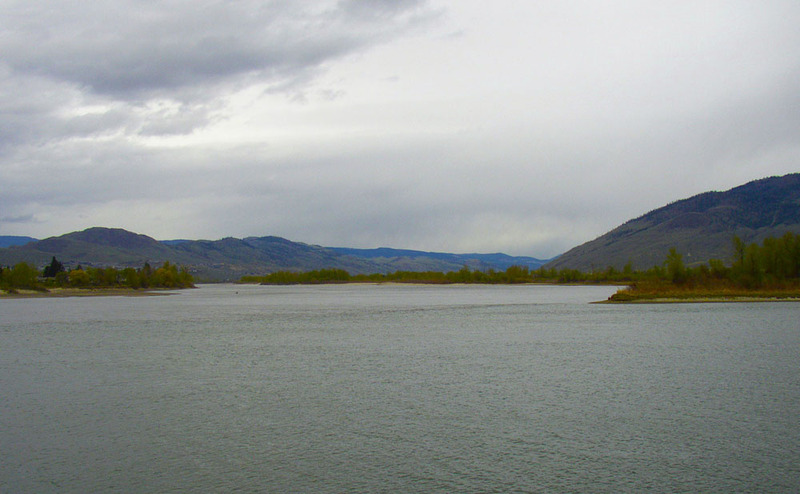 Tk’emlups comes from the Secwepemc language, and means “meeting of the waters.” Even before the Europeans came to BC’s interior, this was a vital river junction and meeting place to the First Nations people of BC. I get busy to-ing and fro-ing all over the city. But I always like to stop and take a moment to honour the meeting of the waters. As much as our city is divided by the rivers, their convergence is part of our identity. They even meet at the hub of the city – they are the core. They are us, coming together. Even though I call myself a hermit, I don’t believe most artists and creatives can live in isolation from community. Not even hermit-y ones like me. Our communities contain our first line of muses, inspirations, opportunities, networks, and supporters. As well, there are communities within communities. You can almost guarantee, especially in a small city like mine, that most of the musicians know the other musicians, most of the artists know the artists, most of the yoga people know the yoga people (yogans? ), and so on. We depend on our own kind the most. We feed each other the support, encouragement, and even the constructive criticism we need to become better at what we do. It’s especially important as creatives that we find our tribes, and go be amongst our people. When we come together, like small rivers meandering down our own paths, we become a mighty rush of water, bringing new things from different landscapes and swirling them all together into a mess of energetic currents. 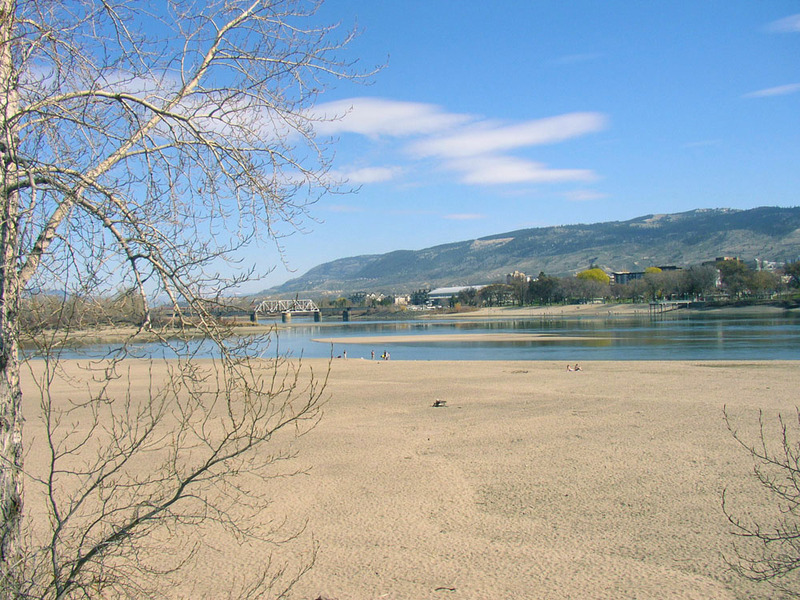 A community in itself is a convergence, like our city’s rivers – a group of people coming together from different directions and meeting, uniting, and staying together. Take a moment to honour the creative convergence in your own community.